Mafia repentant accusing Berlusconi must die! "(Giuseppe Graviano) He told me Berlusconi’s name and that man from Canale 5, Dell'Utri. Thanks to the seriousness of these people they had put the country in our hands." 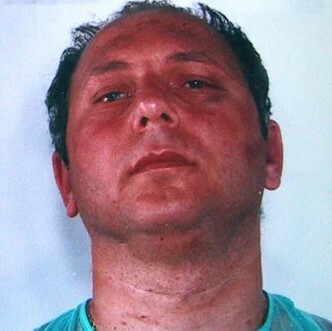 In your opinion, after saying such a thing, mafia repentant Gaspare Spatuzza could be trusted by Berlusconi government? If what he said were false, many in place of Silvio and his collaborators would act the same way. On the contrary many would do everything to counteract these disturbing allegations. On the contrary, many would find any pretext to render harmless Spatuzza, for example denying the protection program, despite being requested by prosecutors in three different cities and the limit of 180 days would be just one of many. "This is the Central Commission of the Interior Ministry.?" "Hello, I work for the Palermo prosecutor office." "I call you about mafia repentant Gaspare Spatuzza. A few days ago our office, together with that of Florence and Caltanissetta, forwarded the request of the protection program…"
"I whish to know why you have not accepted our request." "Sure, I can tell right away..."
"Well… we rejected that because that shi... hem, sorry, Spatuzza spoke over the 180 days allowed by law." "No, because the law – I’m quoting - refers to working 180 days, and you have counted Saturday and Sunday too..."
Other noise of browsed pages, more nervously this time. "Yes, here I am… we rejected also because the statements of that great son of… oops, sorry, that Mafia repentant were not countersigned by the expert witnesses..."
"You're wrong, it were countersigned." "Hello…? Can you hear me?" "Of course! That infam… hem, that Spatuzza was not included in the list of mafia repentant in time…"
"I stop you immediately. I've got the papers proving the absolute regularity..."
"Listen! Spatuzza is just unreliable. He must di… he should not have the protection program. Don’t insist." "Why? Because... because he is born on April 8 and all the mafia repentant born April 8 are excluded from protection program." "But who says that? This rule is not written anywhere." "Not yet, but wait and see. And of course it will be retroactive... "
The News: Spatuzza is not plausible. The first legal, MAFIOSA CONDEMNATION death issued wIthout trial.